We all want our outer beauty to match our inner beauty. Dr. Masoud Saidi and Dr. Janet Jin understands this and takes time to listen to your dental goals and concerns, so they can offer suggestions that enhance your appearance. Saidi Dental Group in Langley, British Columbia provides porcelain veneers to improve the aesthetics of your smile. Contact one of our dedicated team members today to schedule an appointment for this cosmetic enhancement option. Many imperfections hinder the attractiveness of a smile. Coffee, medications, and tobacco products can all contribute to discolouration and staining. Crooked teeth make a uniform and symmetrical smile impossible. Some teeth have gaps between them or chips and cracks that detract from a smile’s appearance. 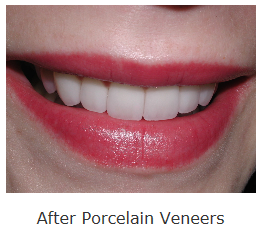 Porcelain veneers receive high praise from doctors and patients for masking imperfections such as damaged or crooked teeth. 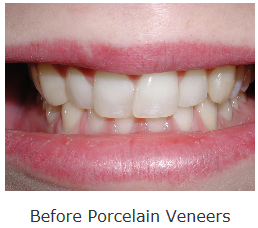 The porcelain on veneers is shade-matched to the tooth’s enamel, ensuring a seamless blend with surrounding teeth. Over time, this porcelain does not dull with stains. Veneers correct the appearance of misalignment, and they cover chips and cracks in teeth. Patients can work with the two Drs. to refashion the shape, size, and length of teeth, so you receive a customized and appealing smile. Veneers are quickly and easily attached to teeth. First, the dentist removes a thin amount of enamel so the porcelain shell will fit comfortably. Next, they take an impression of the teeth and sends it to the lab for fabrication. The lab designs the custom porcelain shells and sends them back to our practice in about two weeks so we can permanently affix them to the tooth surface. Anaesthesia is typically not required, and the Drs. uses a curing light and an adhesive cement to secure the veneer onto the tooth permanently. Dr. Saidi and Dr. Jin use state-of-the-art technology to offer the best treatment available. Saidi Dental Group's goal is to have you looking as good as you feel, so contact us today to schedule an appointment. We proudly serve those living or working in Langley and the surrounding communities. Call us today for a consultation, 604-757-1224.